"We're locking up people that take a couple of puffs of marijuana and the next thing they know they've got 10 years ... We've got to take a look at what we're considering crimes and that's one of them. I'm not exactly for the use of drugs. Don't get me wrong. But I just believe that criminalizing marijuana, criminalizing the possession of a few ounces of pot and that kind of thing, it's costing us a fortune and it's ruining young people." 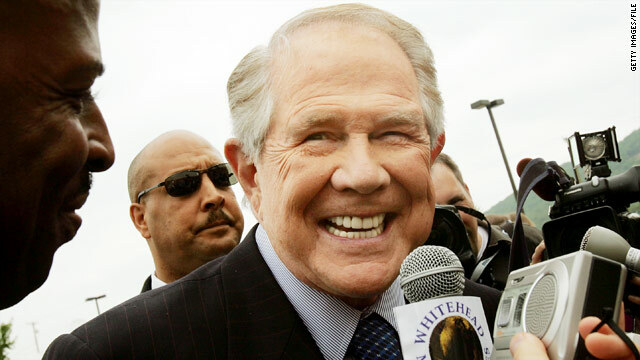 One of the biggest celebrities in Christian conservative politics, the gentle old man from 'The 700 Club,' Mr. Pat Robertson advocating pro-pot measures? His people issued the mandatory no way after the comments were aired, but come on. I think the Reverend knows what he's talking about. At least this time.